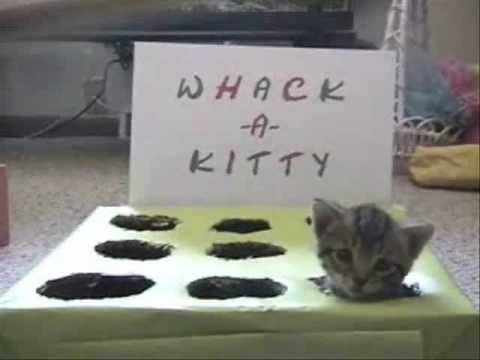 There are 5 cat videos tagged with whack-a-mole. 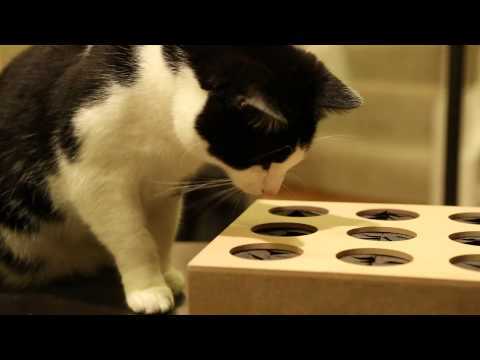 A creative cat owner has created a "whack-a-mouse" game for their kitty. 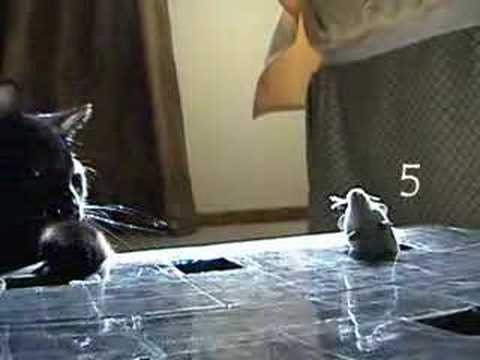 In this 30 second cat video, the cat manages to do a decent job whacking the mice... until the very end. 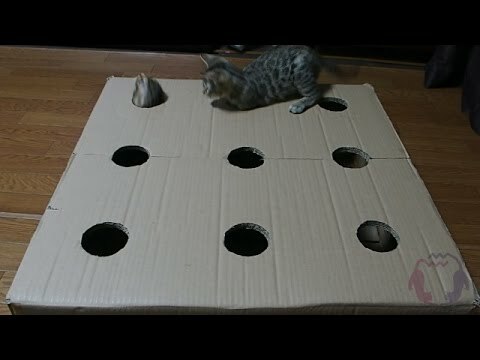 Two adorable kittens play whack a mole with each other. The two Bengals have an awesome board where they jump in and out of holes in cardboard. An awesome product from Think Geek, Cat Whack a Mole! This great game designed for you to play with your cat seems to be unavailable now from Think Geek but it is available on Amazon.